The idea for this low carb, Keto-friendly dinner came from a good friend who was looking for something tasty to eat while on a Whole30 – and started making stuffed zucchini pizzas. I had eggplant and went a little nuts in the veggie aisle. Yum. Also: I found a fantastic lactose-free sharp cheddar cheese that doesn’t kill my stomach. Win-freaking-win, and I’m happy it costs an arm and a leg, so I won’t be buying it every week! Preheat your oven to 200C while you prep all your veggies. Halve the eggplant lengthwise, scoop out a fair amount of the middles (reserve middles, chop & add to veggies), and bake 20 minutes or until mostly soft. While the eggplant boats are baking, make the stuffing by sautéing the mushrooms, onion, pepper, and garlic in the fat until soft. Salt & pepper as you go. When desired doneness is achieved, remove from pan and reserve. Put the pan back on the heat and add the pepperoni. Give that a couple minutes to start rendering and add the beef. Brown, adding the spices a half at a time and tasting as you go. You want this mix to be a hair salty. When your desired brownness is reached, add the marinara, nutritional yeast and olives and stir to combine. Add the veggies back in. Taste. Season more if needed. Pile into the boats and top with shredded cheese. Bake 20-30 minutes or until browned and bubbly. Top with chopped parsley & green onion if desired. We’ve been on a Korean kick lately – and it’s been delicious. This recipe comes together relatively quickly, can be eaten hot or cold, and can accommodate a bunch of different eating styles. Whiz all ingredients but the beef in your blender. Cut the roast into bite sized chunks and marinate 2 hours to overnight. To prepare, pressure cook 12-14 minutes. Whisk together and drizzle over the top of each bowl. This dish is quick to throw together, takes a minimal amount of effort, and makes enough to last a few days. Chop the onion. In a large steep-sided pan or pot, add the oil and heat to medium. Sautee the onion until softened. Add the beef, hit with some salt and pepper, and cook through. While the beef is working, chop the garlic and ginger and bell pepper and cabbage. Add the ginger and garlic to the beef mixture and cook 1 – 2 minutes or until fragrant. Add the veggies, coconut milk, 1 can of water, curry paste, and another hit salt & pepper. Bring to a boil, add the frozen spinach, knock the heat down and let simmer 10 – 15 minutes or until the coconut milk has reduced to the consistency you want. Turn the heat off, add the lime, and taste for seasoning. Add more salt/pepper/acid if needed. We are a split household on the subject of mushrooms – they are one of my absolute favorite foods; something I can happily eat a pound or so of by myself on the regular. DH? Not so much. He likes the taste, but the texture weirds his mouth out. I’m also too lazy to make a good pot of butter garlic mushrooms very often, so mushrooms are a sometimes treat food — mostly the second DH goes out of town. Mushrooms, shrimp (which I had for dinner yesterday) and asparagus (which I have not yet seen in stores here). This version has been mostly caged from a good Nerd friend (shoutout to Fonzico) on her fourth? fifth? Whole30 who raves about this recipe. I’m starting a second pass at keto, so thought it was the perfect time to try. First, get your aromatics going. Mince the onion and garlic, de-stem about 2 Tbsp. thyme and chop. Add to a large pot with 2 Tbsp. ghee. Sautee on medium-low while you prep the rest of the ingredients, stirring occasionally so you don’t burn the mixture. While your aromatics are going, cut your cabbage into ribbons, wash your mushrooms, and gather the rest of your ingredients. When your ingredients are ready to go, add the aminos/worcestershire, tomato paste, and fish sauce to the pot. Stir to combine. Add the whole mushrooms. Stir. Add the beef, sliced mushrooms, coconut milk, stock or broth, cabbage and a few thyme sprigs. Stir. Kick the heat up to medium-ish, cover, and simmer 30 minutes. Uncover and simmer 45 minutes or until the liquid is halved. Serve up, salt as needed, and add more fat if your macros call for it. Radishes + butter is not a new concept, but I couldn’t help mess with the idea a bit – especially after viewing a scroll-through Facebook video for something called Cowboy Butter. Cowboy Butter sounded enchanting, but required too many ingredients. So, I got to researching, combining, and playing around a bit and I think I hit on something fantabulous here. 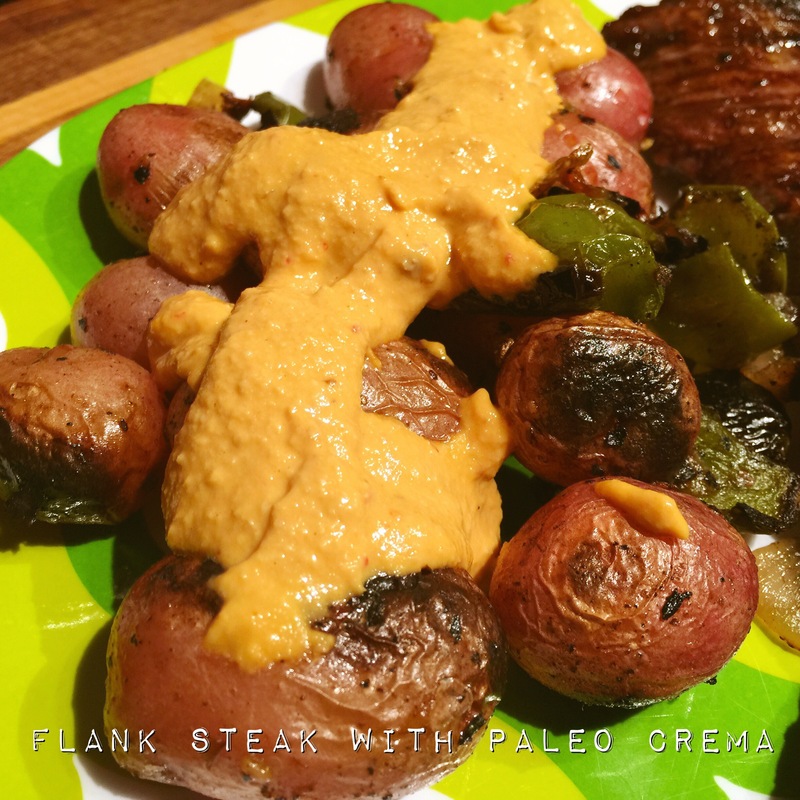 This sauce is great with roasted veggies, steaks, burgers & zoodles … pretty much everything. Preheat your oven to 400F. Chop your radishes into about 1/2 inch segments and toss in a Tablespoon or so of your favorite roasting fat. Sprinkle with salt & pepper and spread out on a baking sheet. Roast at 400 for 20 – 25 minutes or until beginning to brown. While your radishes are working, make your sauce by melting the butter in a small pan over low heat. Whisk in the rest of the ingredients (minus the fresh herbs) until combined. When the sauce is combined, throw in the herbs plus a couple pinches salt and pepper. Taste for seasoning. 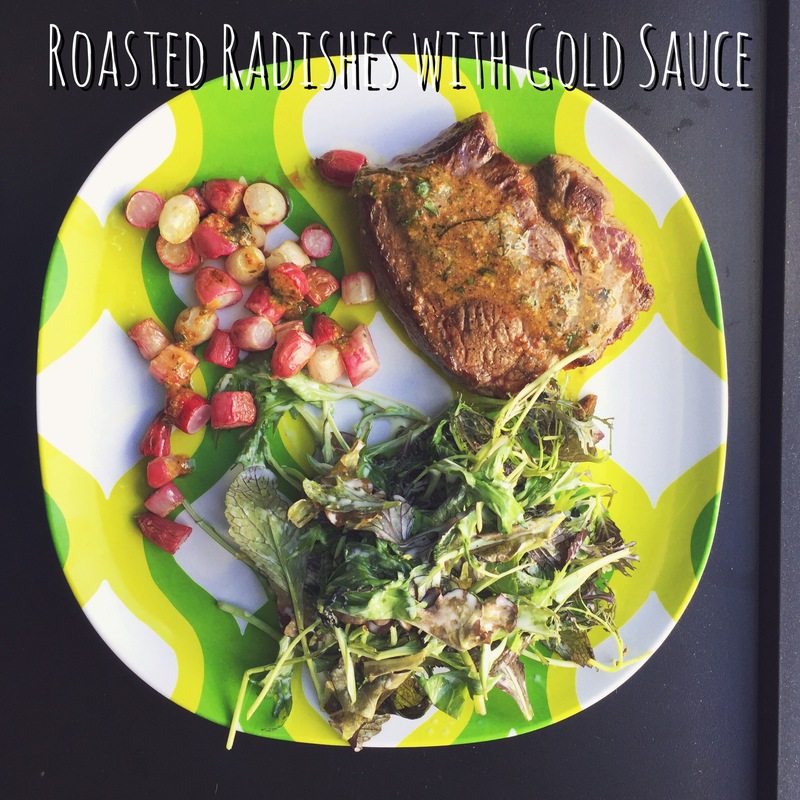 Serve drizzled over the radishes. Also great with meats – really pretty much anything; I’m loving it with eggs, and may even attempt to thin it out to make a salad dressing. Another gem inspired by my Japanese food YouTube obsession. Delicious, delicious obsession. I’ve made this version low carb. 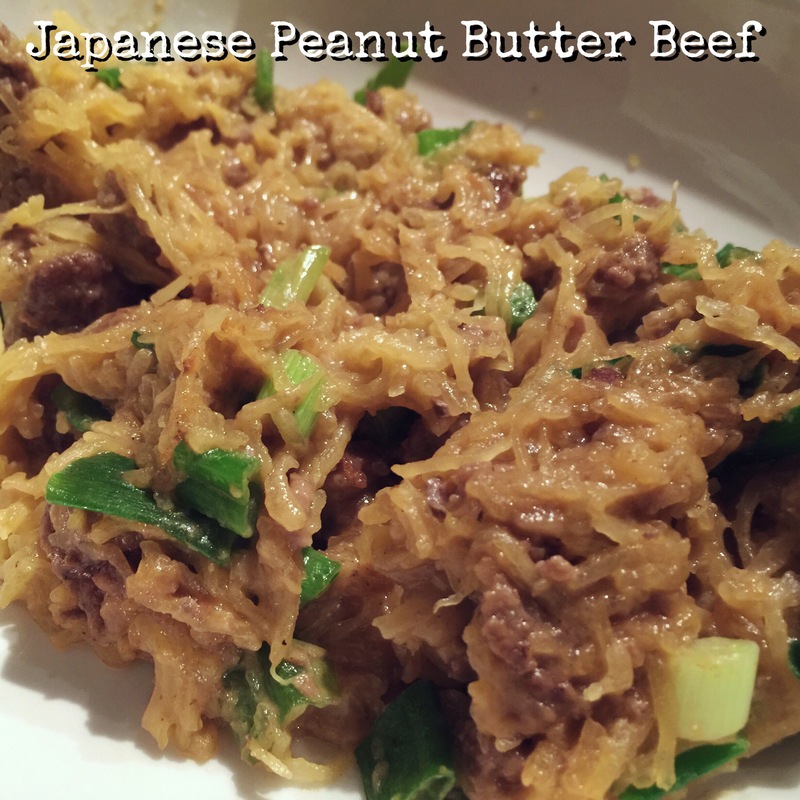 The original recipe used oyster sauce in place of hoisin (I happened to have hoisin on hand – Chinese, I know) and udon in place of spaghetti squash. I also turned around and had this for dinner a second night in a row – with added roasted brussels sprouts – and it was magical. Heat a medium pan over medium heat. Add the ground beef and cook until just browned. Add the liquids, peanut butter and hoisin/oyster sauce and stir quickly to combine completely. Add the spaghetti squash and scallions and stir well to combine. 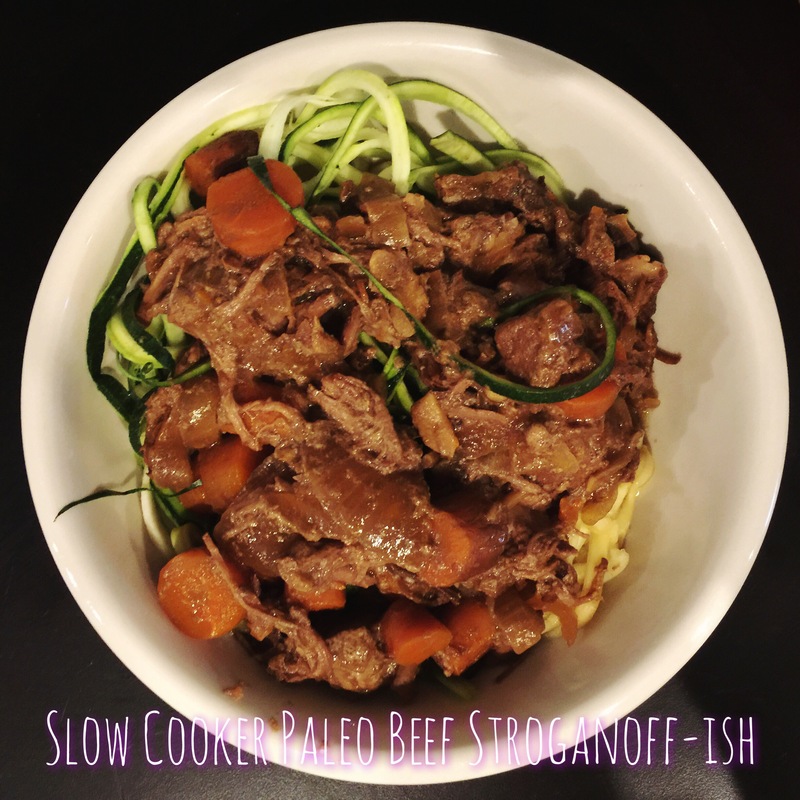 This is a super simple slow cooker dish that comes together in a flash, feeds a million, and lasts well for a week’s worth of dinners. Slice your onion and pepperoncinis thin. Add the onion to your slow cooker. Rest the roast on top. Sprinkle with half the ranch seasoning, flip and sprinkle the rest on top. Pour the coconut aminos and beef broth in, and add the ghee. Hit with 2-3 pinches salt and a good amount of black pepper. Cook on low 8 hours. When finished, take the lid off the slow cooker, shred the beef and cook on High (uncovered) for half an hour to an hour to let some of the liquid cook off. To serve, top with more sliced pepperoncinis and a couple splashes pepperonicini juice. 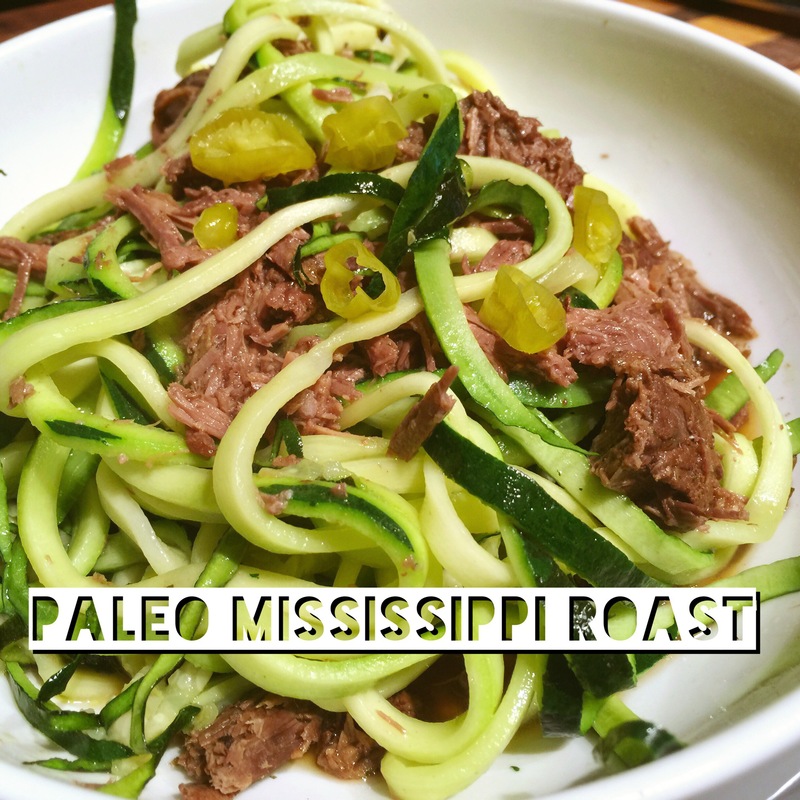 This beef is great on lightly sauteed zoodles or roasted broccoli. This is quite tasty. It doesn’t quite qualify as “beef stroganoff” but it is good nonetheless. Add all ingredients but zoodles & fat of choice to your slow cooker. Cook on low for 8 hours. To serve, quickly sautée the zoodles in fat over medium-high until beginning to soften. This is a great sauce. Creamy, fatty, spicy, smoky and delicious. Plus: it’s paleo (and vegan)! First, prep your cashews. Boil the water (I nuked for 2 minutes) and add the cashews. Let soak anywhere from 30 minutes to 8 hours. When your cashews have soaked and it’s time to make dinner, start with the steak. Sprinkle with Kosher salt and black pepper and lay on a prepped cookie sheet. Broil on High for 3-4 minutes or until desired doneness is reached. Pull and let rest 5 minutes before slicing and serving. To make the sauce: Blend the cashews (reserve the water), chipotle, tomato paste, lemon juice, 2 big pinches Kosher salt, garlic powder, white miso if you want. Drizzle in about a quarter cup of the cashew water to get things moving – and then about a quarter of a cup of oil if your desired consistency is not reached. I started off blending in the food processor, wasn’t getting the creaminess I wanted, and moved on to the Vitamix for a smoother puree. 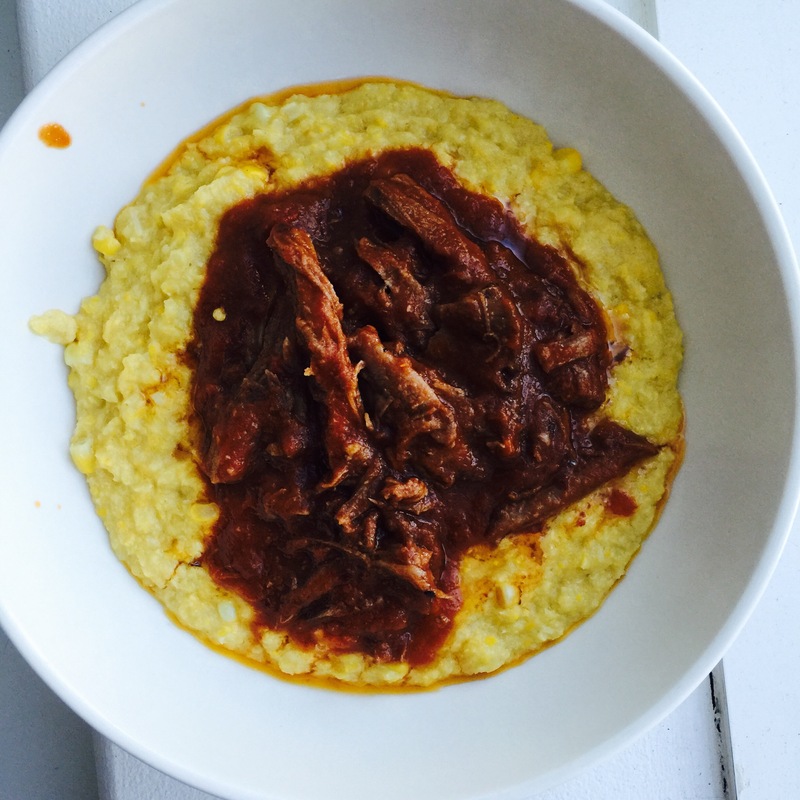 This meal makes a great transition into fall, taking the last of the summer corn and comboing it with nice and hearty short ribs. Dump all ingredients into your slow cooker. Cook on high 6 hours. Remove beef and set aside to cool. While cooling, put the cooking liquid into a large pot over medium heat and reduce by half; this took me about 40 minutes. When the cooking liquid is reduced to your liking, blend. Pull the beef and pour the sauce over top. Taste. Adjust as needed – I added 2 Tbsp. apple cider vinegar, 2 more big pinches salt and 2 big pinches red pepper flakes.